For the second time this week, a recall alert has been issued for a drug that could contain a cancer-causing agent. A recall of Losartan potassium tablets that could contain a cancer-causing impurity was expanded Thursday to include more lots. It's the second recall of its kind this week and one of several since last July. Torrent Pharmaceuticals says the recall has grown from two lots to 10 lots. 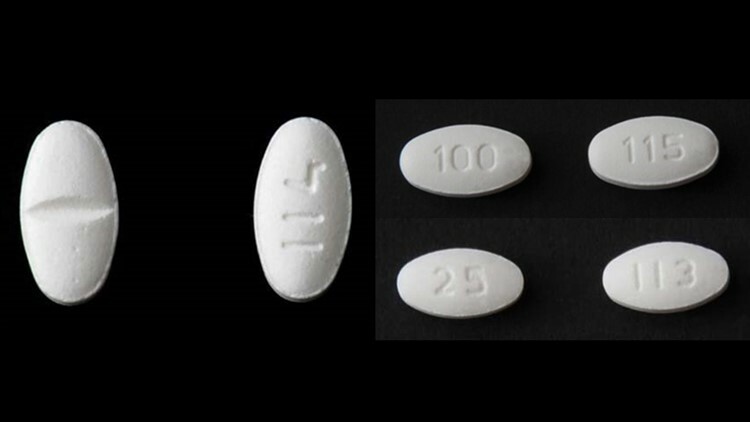 The company said Losartan is "used to treat hypertension, hypertensive patients with Left Ventricular Hypertrophy and for the treatment of nephropathy in Type 2 diabetic patients." The recalled product was found to have trace amounts of N-nitrosodiethylamine (NDEA) above the Food and Drug Administration's (FDA) acceptable daily intake levels. NDEA is classified as a probable human carcinogen by the International Agency for Research on Cancer. The National Institutes of Health website said NDEA is used as gasoline and lubricant additive, antioxidant and a stabilizer for industrial materials. You can see a full list of all the affected lots here. They have an expiration date between April 2019 and May 2021. The company said in Thursday's recall it had received no reports of "adverse events" related to the recall. Despite the possible cancer risk, the company said patients who are using the drugs should continue taking them. That's because the health risk to patients could be higher if they stop without an alternate form of treatment. Patients are advised to contact their doctors about alternatives. Aurobindo Pharma USA on Monday announced a separate recall of blood pressure medication due to the discovery of NDEA. The FDA told USA TODAY late last year it was investigating the root cause of the problem that is leading to all the recalls.